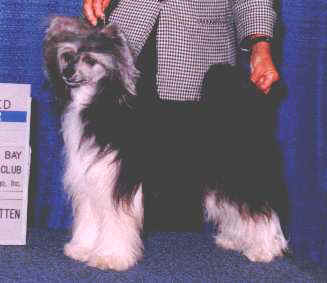 "Phantom" is a lovely powderpuff male owned by Teri Casey of Tucson. He is the result of a very close breeding being sired by "Leo" and out of the lovely "Leo" daughter Ch.Tamarlane's Europa Finale. Phantom completed his championship with a 5 point and two 4 point majors.